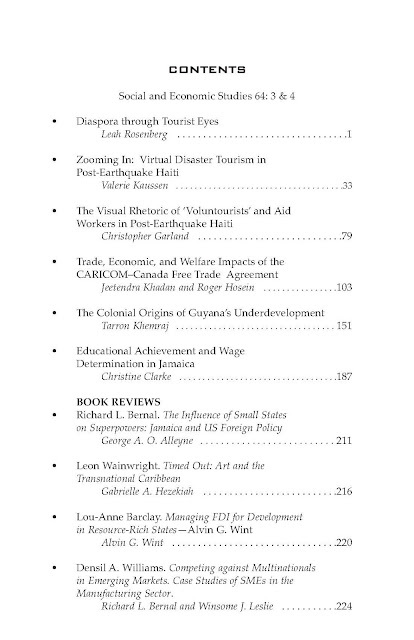 Social and Economic Studies: Focus on Haiti--September-December 2015 issue! 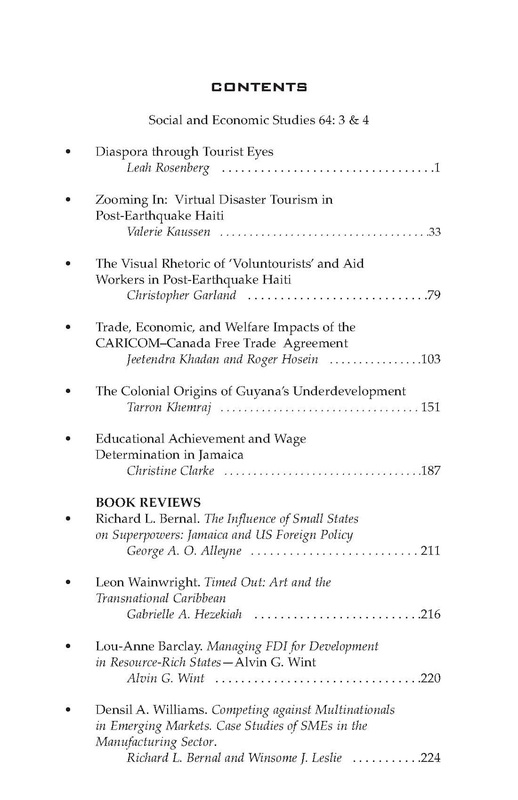 Focus on Haiti--September-December 2015 issue! Social and Economic Studies (ISSN 0037-7651) is a quarterly, peer-reviewed journal that has been published continuously since 1953. Produced by the Sir Arthur Lewis Institute of Social and Economic Studies (SALISES), it features articles reflecting current academic research of a developmental nature on a wide range of issues in the Caribbean, Latin America and the rest of the Global South. SES is multi-disciplinary in orientation and publishes articles and research on agricultural, anthropological, demographic, economic, educational, monetary, political and sociological questions with a view to analyzing and discussing the problems of less developed countries, particularly those in the Caribbean. 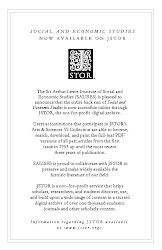 The journal is indexed by Scopus, PAIS Bulletin, Sociological Abstracts, Journal of Economic Literature, Abstracts in Anthropology, Current Contents/ Social and Behavioural Sciences, ASSIA and is available in the JSTOR, ProQuest and EBSCo databases.